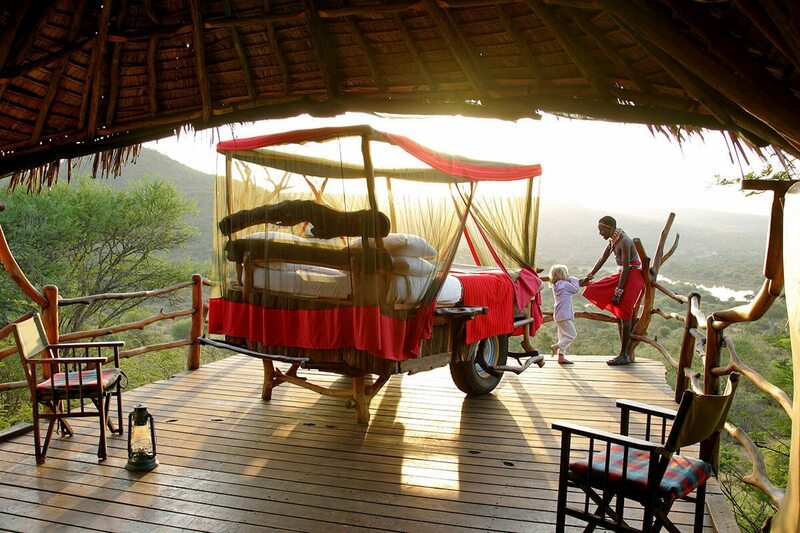 Appreciate the vastness of Kenya‘s wilderness from your plush double bed, which can be wheeled outdoors for an incomparable night under the stars. 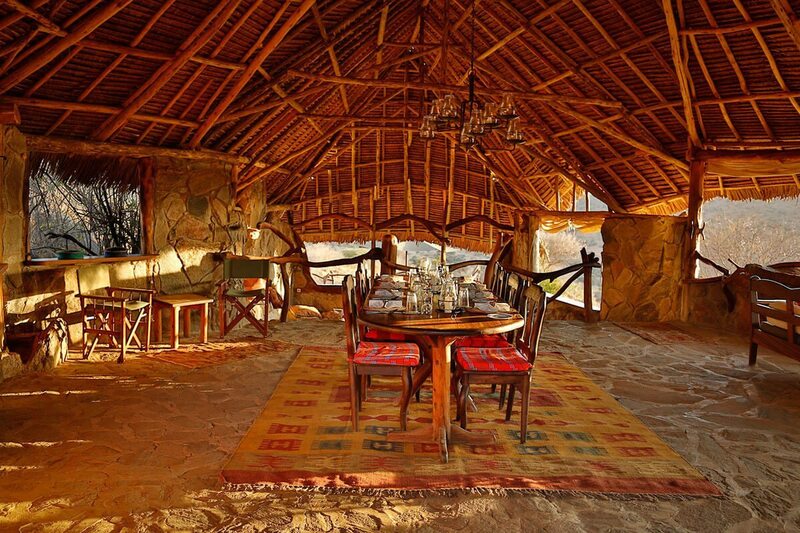 Located in Laikipia, Loisaba Star Beds offers open-plan thatched cottages, day and night game drives, bush walks, camel trekking, mountain biking and fishing. I take in the almost 23,000ha of private wildlife conservancy around me. I’m at Loisaba Star Beds, a luxury Kenyan safari lodge in Laikipia, a huge plateau in northern Kenya, northwest of Mount Kenya. We’re perched on a hillside overlooking Kiboko Waterhole, a busy watering station for visiting wildlife and home to resident hippo. After a merry meal we head back to our semi-outdoor bedroom. 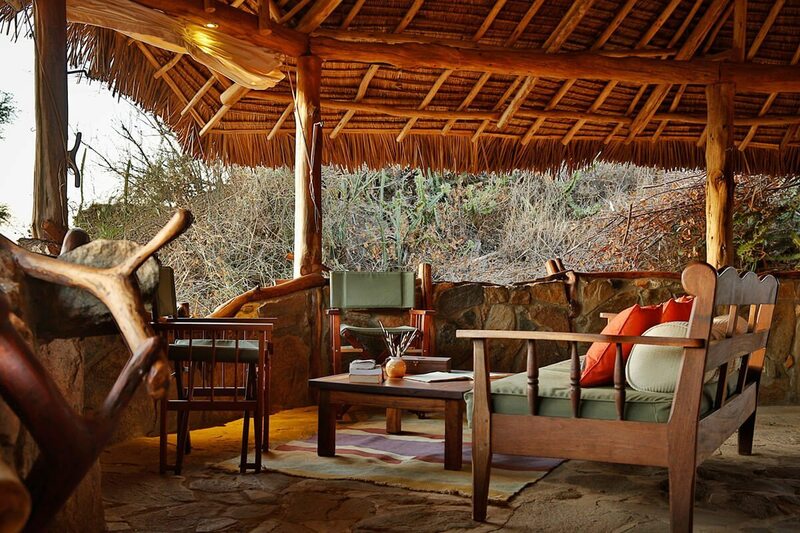 Other than a thatched roof, it’s open to the elements. The handcrafted four-poster star bed is the main feature of the room, and it’s the reason we came here. 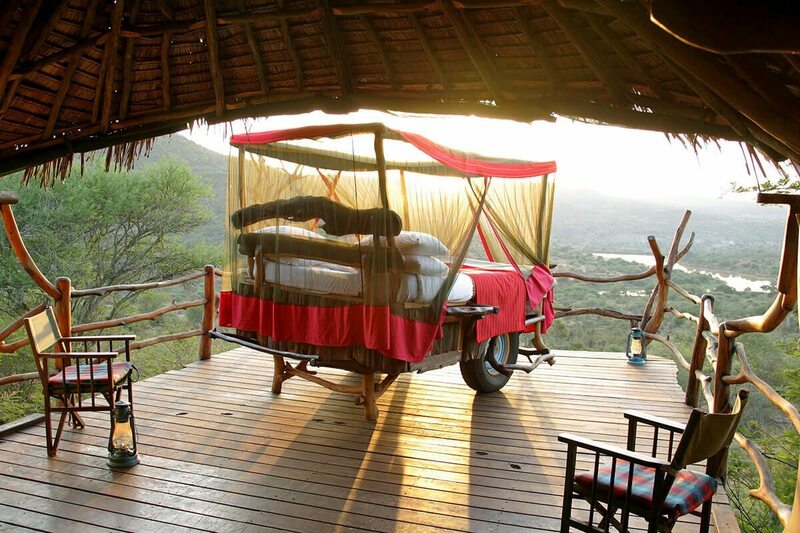 While similar to a normal bed, the difference lies in its location; earlier today it was under the roof, but now it’s been wheeled out onto the deck, directly under the heavens.I snuggle under the covers, unable to keep my eyes off the African sky, which is crowded with stars. Through the mosquito net I point out the Seven Sisters constellation to my partner, ‘Loisaba’ in Swahili, after which Loisaba Star Beds is named. With not a single manmade light to tarnish the sky, the sight is dazzling. The full moon casts a luminous glow upon the acacia-dotted landscape. I feel completely safe in my cocoon, raised as we are to deter any unwanted nocturnal visitors. And if it rains, the dedicated staff will wheel us back inside as we slumber, before we’re aware of a single drop.I can hear the far off roar of a lion on the prowl, the occasional bark of a hyena and a symphony of nocturnal insects. 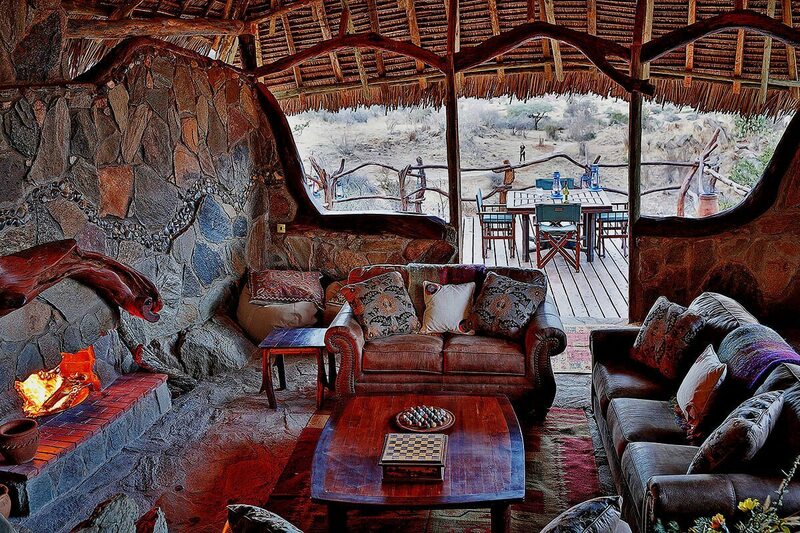 We’ll soon be exploring Loisaba at our leisure, searching out its elusive African wild dog and its famed elephant. I’m so excited it’s a wonder that I manage to sleep, but drift away I do, dreaming of the adventures that await. After a merry meal we head back to our semi-outdoor bedroom. Other than a thatched roof, it’s open to the elements. The handcrafted four-poster star bed is the main feature of the room, and it’s the reason we came here. While similar to a normal bed, the difference lies in its location; earlier today it was under the roof, but now it’s been wheeled out onto the deck, directly under the heavens. 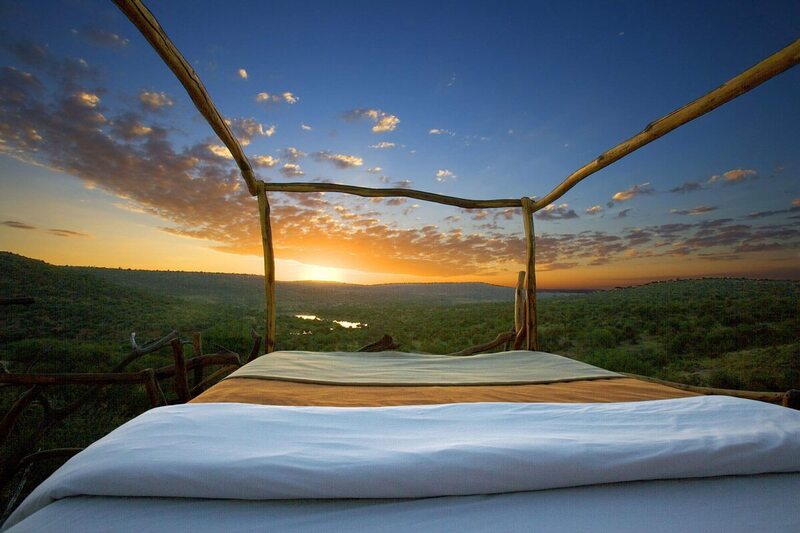 I snuggle under the covers, unable to keep my eyes off the African sky, which is crowded with stars. 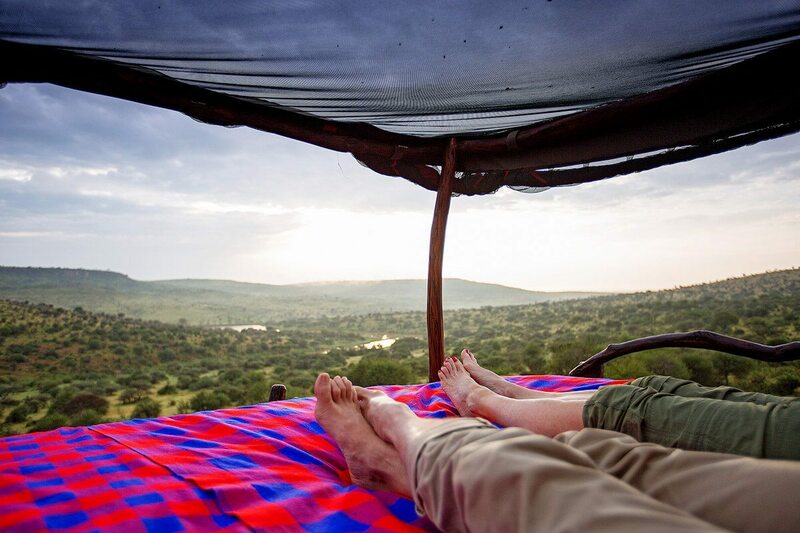 Through the mosquito net I point out the Seven Sisters constellation to my partner, ‘Loisaba’ in Swahili, after which Loisaba Star Beds is named. With not a single manmade light to tarnish the sky, the sight is dazzling. The full moon casts a luminous glow upon the acacia-dotted landscape. I feel completely safe in my cocoon, raised as we are to deter any unwanted nocturnal visitors. And if it rains, the dedicated staff will wheel us back inside as we slumber, before we’re aware of a single drop. I can hear the far off roar of a lion on the prowl, the occasional bark of a hyena and a symphony of nocturnal insects. We’ll soon be exploring Loisaba at our leisure, searching out its elusive African wild dog and its famed elephant. I’m so excited it’s a wonder that I manage to sleep, but drift away I do, dreaming of the adventures that await. I love the communal dining experience at Loisaba Star Beds, and the camaraderie of drinks around the log fire in the lounge. We haven’t yet, but if we want privacy we can choose to dine anywhere we’d like. 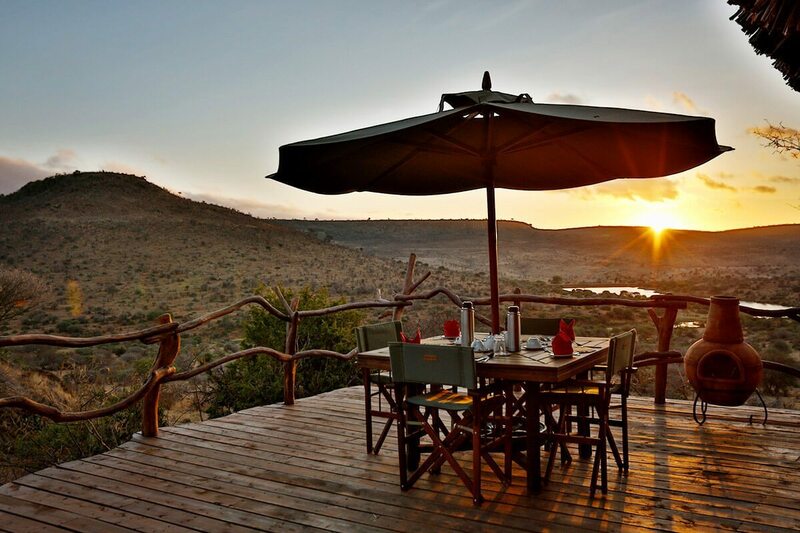 But there’s nothing to compete with the experience of falling asleep in a plush double bed with nothing around you except the vast African wilderness and endless, star-swept sky. 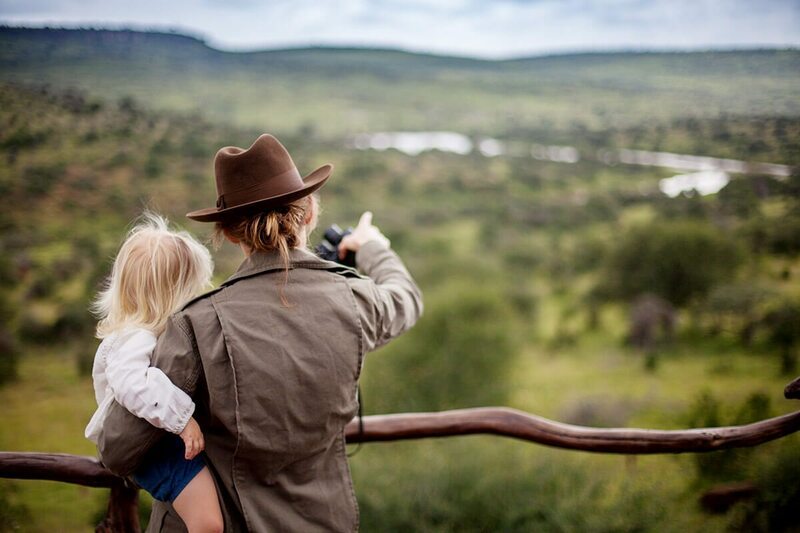 This closeness with nature is what makes Loisaba so special. Once owned by an Italian count, the land was transferred to the Loisaba Community Trust, and has become a model for sustainable community development and wildlife conservation. We learn that every dollar spent here goes towards conservation, for the people and wildlife of Loisaba. 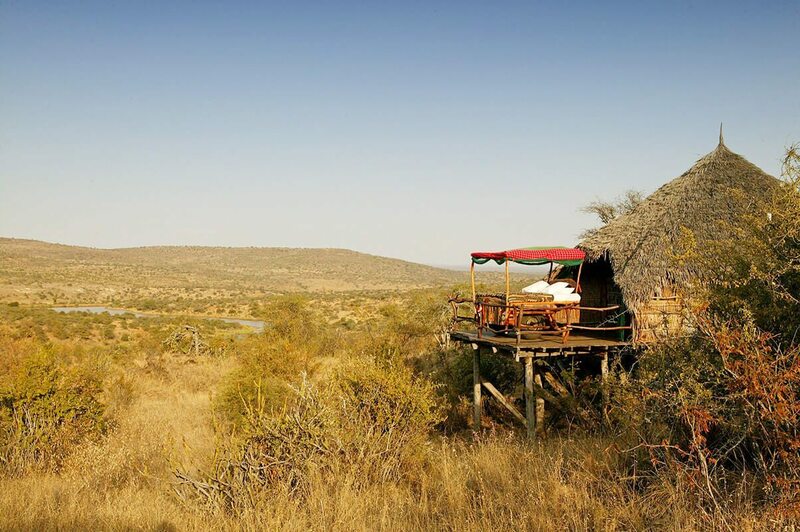 Luxury safari lodge in the wilds of remote northern Kenya with four thatched, semi-open rooms containing star beds, which roll out onto the deck. Unique star beds, private concession, private dining available and private vehicles available (additional cost). 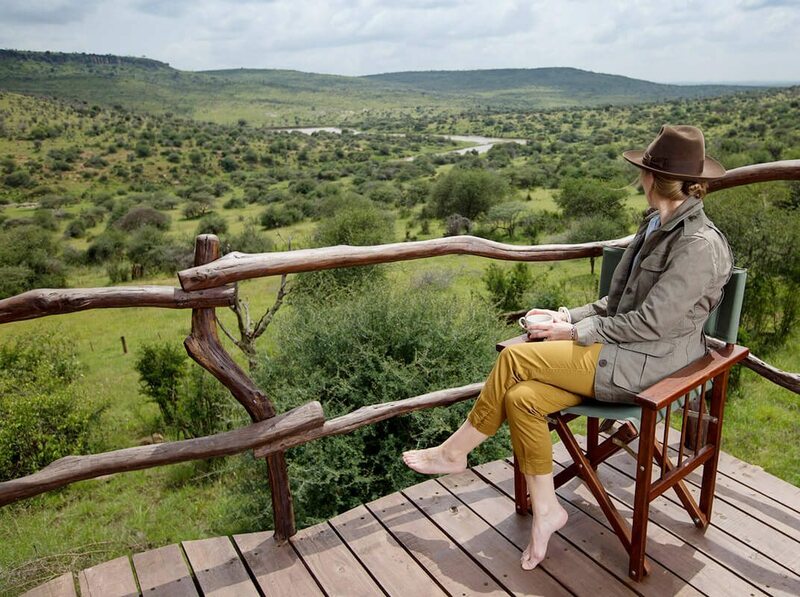 Game drives, night drives, walking safaris, horse riding (additional cost), camel riding (additional cost), lion tracking, mountain biking, fishing, bush meals, bush sundowners, spa treatments (additional cost), cultural visits (additional cost) and anti-poaching-unit visits. Children welcome, and children’s activities on offer. One family room with two double beds, plus all platforms have space for extra beds (but they don’t roll out).